Laughter-filled restaurants abound in Old Town San Diego, and Café Coyote exudes all this joy. As we approached this partially open-air restaurant, we saw homemade tortillas being made on a hot outdoor grill. My cohort and myself were here to preview what Café Coyote was offering for San Diego Restaurant Week, occurring January 20-27, 2019. 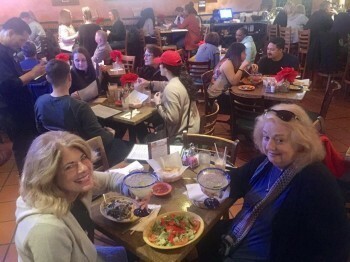 We were seated inside the colorful bar area where we started our meal with a Cadillac Margarita. 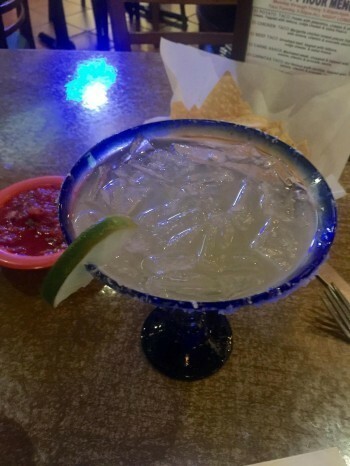 If this margarita isn’t large enough for you or you want to share a margarita, Café Coyote offers the Famous Grande Margarita which we saw a couple enjoying together. Our two appetizers were the Queso Fundido made with melted cheese topped with grilled bell peppers and chorizo. We loved the handmade flour tortillas that accompanied this dish. Since Caesar Salad was invented in Tijuana, we had to share one. Colorful tortilla strips topped this salad, adding some crunch to the crisp lettuce. 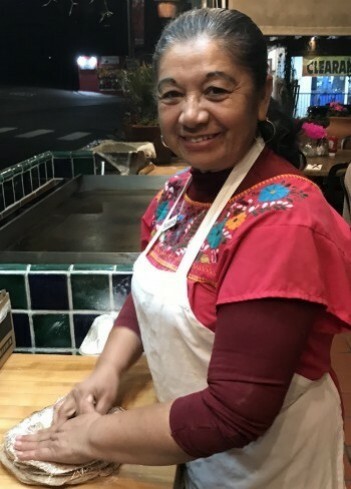 The menu wasn’t finalized for Restaurant Week yet, but we were told two of the entrees would be their Old Town Carnitas, a traditional dish of slow cooked pork served with Mexican rice and refried beans and guacamole on the side. 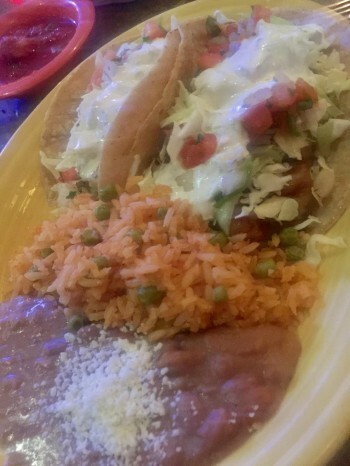 The other main course we shared was the Baja Style Fish Tacos, fresh battered fish fillets topped with cabbage and a creamy jalapeno white sauce. Both of these entrees were cooked in a traditional Mexican method and were tasty and filling. San Diego Restaurant Week offers three courses at this restaurant—an appetizer, a main course, and a dessert. 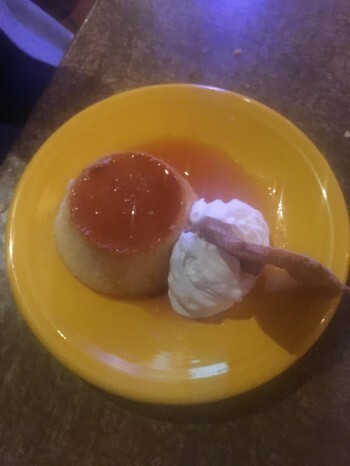 For dessert, we tried Chef Ernesto’s Flan, a creamy custard topped with caramel sauce, and the Fried Ice Cream, ice cream rolled in crushed corn flakes and deep fried with honey atop this crunchy dessert. Both desserts were delicious. Service at Café Coyote was excellent. Every need was met by our cheerful waiter. Restaurant Week prices at this restaurant are phenomenal. The lunch menu offering will cost $10.00 and dinner will be $20.00. Café Coyote is located at 2461 San Diego Avenue, San Diego, California. Reservations can be made online at Café Coyote Reservations or by calling 619-291-4695. What a great way to explore this festive dining establishment. Find this restaurant and over 180 other restaurants at San Diego Restaurant Week.